The begging talibé children of Saint-Louis do not, for the most part, come from this region. 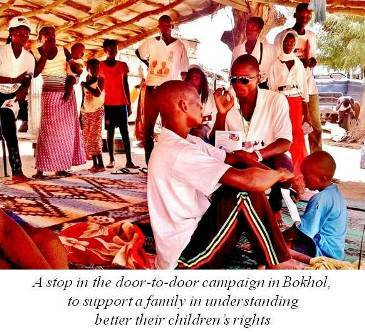 They are mainly from the areas of Matam, Kaolack, Tambacounda and Kolda. Others come from neighboring countries, in particular Guinea Bissau, Guinea, Gambia and Mauritania. Thousands of families continue to send their young children to Saint Louis to learn the Koran, usually in total ignorance of the fate that awaits them there. To make any progress at all in the struggle to end begging, we must make these families aware of the lives to which they are condemning their children. Our goal is to reduce the number of begging talibé children in Saint Louis by at least a quarter by the end of the year 2019. It was to have a measure of our success towards this goal that we undertook the first complete census of begging talibé children in Saint Louis in early 2016. The result revealed 14,779 begging talibé children living in 197 daaras. We will redo the census at the end of 2019 in order to measure the progress that has been made. The exchanges were very productive. Indeed, some well-organized marabouts shared how they try to strike a balance between, on the one hand, their obligation to maintain and feed the hundreds of children entrusted to them despite their low incomes, and on the other hand their awareness of the need to stop forced begging. With the help of the ndéyous daaras in their areas, many of the children receive three meals a day, clothing and some supplies such as soap, toothbrushes and toothpaste. For these lucky children, they can pursue their Koranic studies without spending hours in the street. 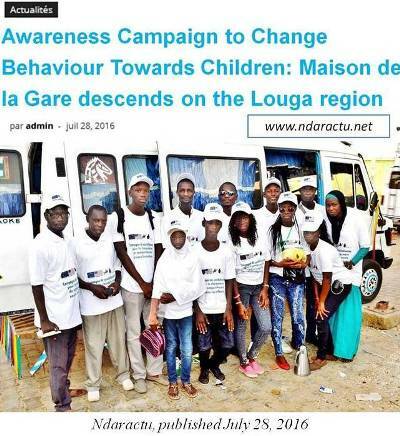 "This Thursday morning a large contingent from Maison de la Gare descended on the Louga region to mount an awareness campaign with the objective of changing behaviour towards children. It was led by Diodio Calloga, the coordinator of the project to improve the living conditions of talibé children, street children and children in vulnerable situations. The choice of Louga was far from random as there are a great many daaras in the region with children living under vulnerable conditions that most people are unaware of. Even better, in the course of the day the ndéyous daaras, the marabouts and the other participants explored ways to change people's behavior towards children, so as to respect and reinforce the government’s decision to get begging children off the streets." 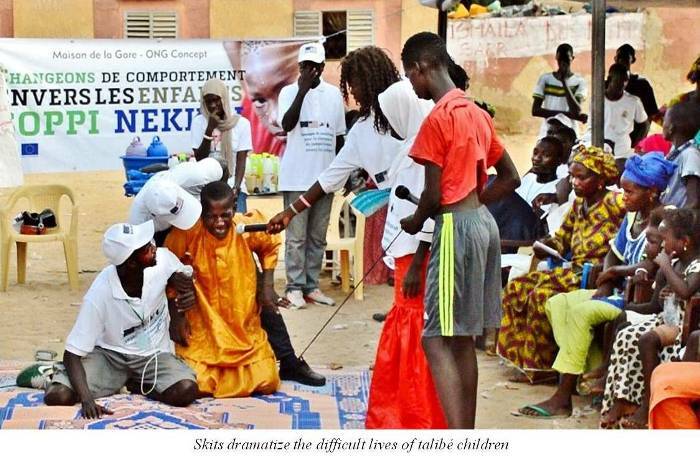 "It was in the heart of the municipality of Rosso, Senegal, that the activities of the caravan dedicated to raising awareness and changing behavior towards children took place. 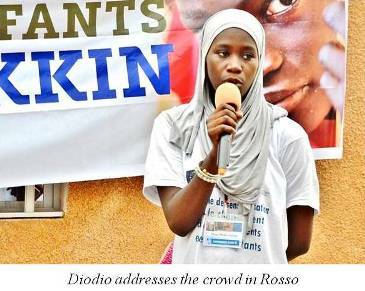 Deputy Mayor Abdou Diagne declared that children’s situation is generally acceptable, but the fact can’t be hidden that there are some who are in difficulty. Welcoming the government’s decision to remove children from the streets, he asked everyone to behave responsibly towards these children while saying: 'Rosso is a transit zone where the authorities have taken all necessary steps stop those who want to harm children.' 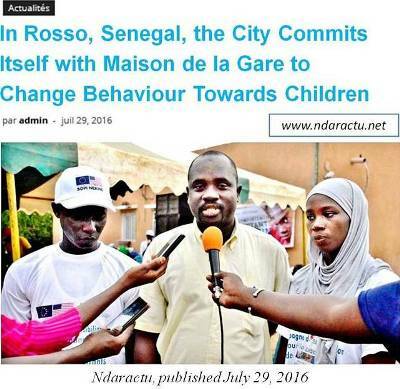 The Deputy Mayor welcomed Maison de la Gare’s efforts and the support offered by ASC Daradji (the Sports and Cultural Association that welcomed us and organized the events in Rosso)." 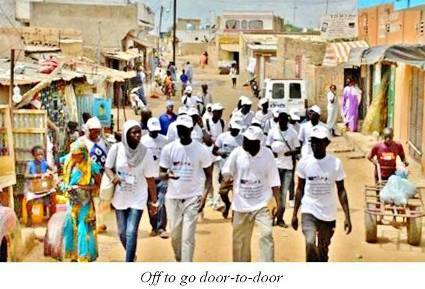 The second series of campaigns, in August, focussed on the Kaolack region (Thiolongaane, Kaolack commune, Latmingue, Thiofyoor, Ndiaafat) and the third series in November on Fouta (Tarédji, Djoum, Guédé). The choice of these regions was not arbitrary. Indeed, we know that they are major sources of begging talibé street children. Most of the children found living on the street in Saint Louis and returned to their communities of origin come from Saloum or Fouta. 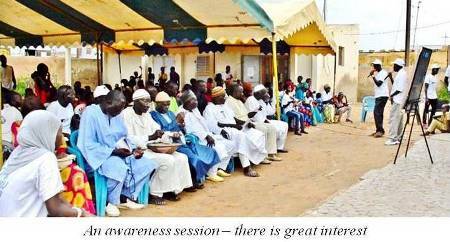 These awareness sessions gave us the opportunity to make the people of these areas aware of what most begging talibé children must endure. Using photographs and brochures, theatrical skits and questions and answers, we succeeded in focussing people’s attention in the villages where these children come from on the reality of their lives. On the fact that children sent to learn the Koran are often victims of many types of abuse and exploitation. The truth is that children sent to Saint Louis to study the Koran usually become victims of one of the worst forms of contemporary slavery, spending most of their time begging. We learned a lot from these first awareness campaigns. We plan to mount at least twelve new campaigns in 2017 and twelve more in 2018. We will do everything in our power to help communities that entrust their children to Saint-Louis marabouts and daaras to understand the impact of their actions on their children, and to find better alternatives. Children begging in the streets must stop! 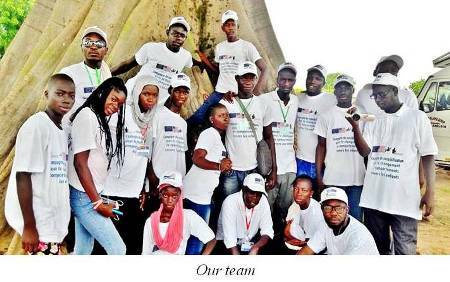 This awareness program was made possible by a grant from the European Union, for which we are grateful.